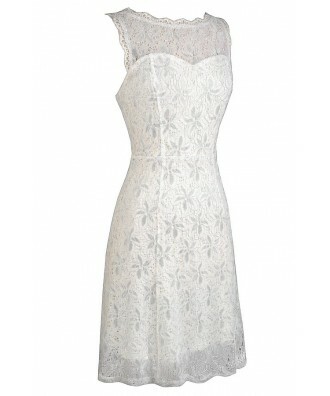 This longer-length lace dress is fully lined, except at the neckline and top back, which are semi-sheer. 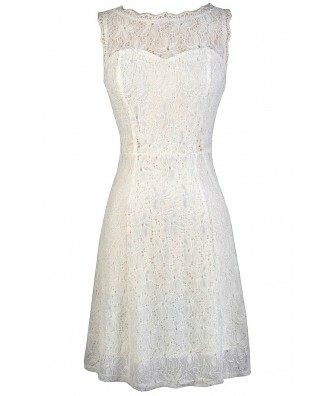 It would make a really cute white lace rehearsal dinner dress or bridal shower dress. This dress is made entirely of lace and features a rounded neckline, form-fitting cut, and slightly flared skirt. A hidden back zipper completes this dress. This dress has a longer length that could be hemmed shorter if you prefer. It would look nice paired with pumps or heels for any semi-formal event. Details: Lined except at neckline and top back. Hidden back zipper. Length from shoulder to hemline: 36". Bust: 32". 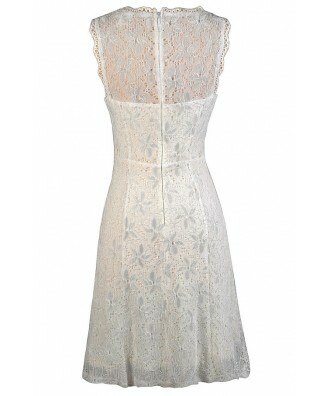 You have added Lace Enchantment Dress in White into Wishlist. 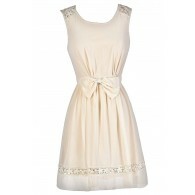 You have added Lace Enchantment Dress in White for Stock Notification. 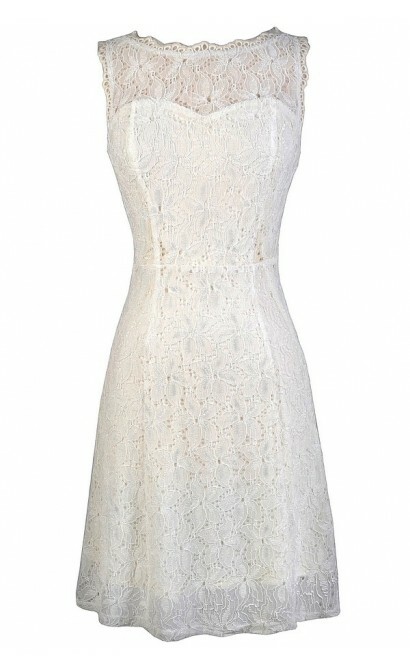 You have set Lace Enchantment Dress in White as a loved product. 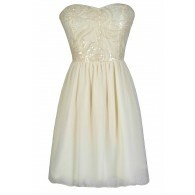 You have removed Lace Enchantment Dress in White as a loved product.